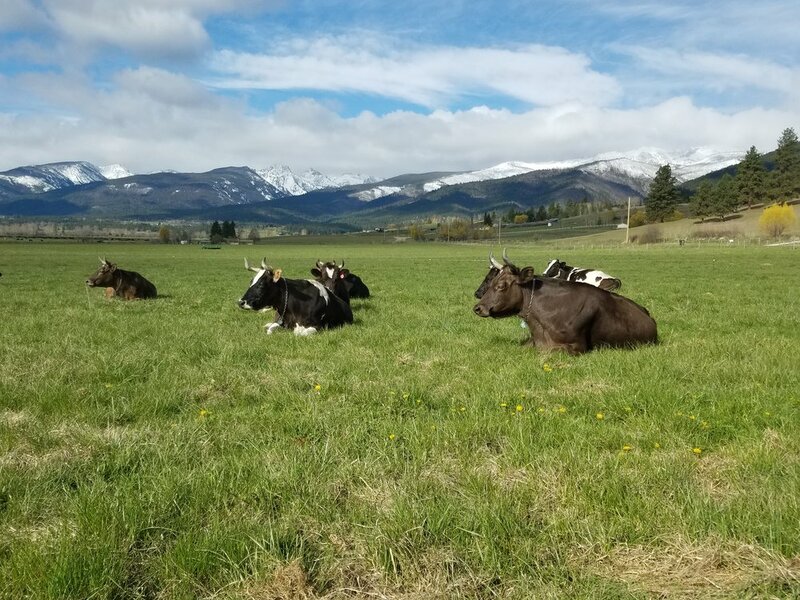 Lifeline Farm is the oldest certified organic farm in Montana. Ernie, a founding member, is a longtime biodynamic dairy farmer. His partner, Jen, came on as an intern and now manages the dairy which allows for Ernie to work more with processing and marketing. Biodynamic farming practice involves a commitment to managing a farm as a whole farm organism. This includes minimizing off-farm inputs (80% of feed is grown on the farm) and nourishing the soil life with manure-based composts. Ernie strongly believes that good milk and cheese starts with good soil. "If the soil is healthy, it supports a variety of plants and grasses. You can really taste the different plants and grasses that change the milk as they change with the seasons," Ernie says. These exceptional flavors and the superior quality of Lifeline's dairy products have made them a Montana favorite. Lifeline produces whole, reduced fat and skim milk in gallons and half gallons, all of which are "cream-at-the-top" or non-homogenized, processing any additional milk into cheese. Ernie has developed many Montana varieties, like the Montana Jack and "Montzarella" cheeses. Lifeline joined the Grower's Co-op in 2005, which allowed them to offer their products further than Missoula. WMGC is able to market and deliver their products to northern and eastern Montana customers. Having a local dairy that is so committed to quality, is also a huge asset to WMGC, allowing for year-round sales. To learn more about biodynamic farming, read more here or here.